Handel's Dixit Dominus is a baroque masterpiece, famous for its virtuosic and brilliant writing. 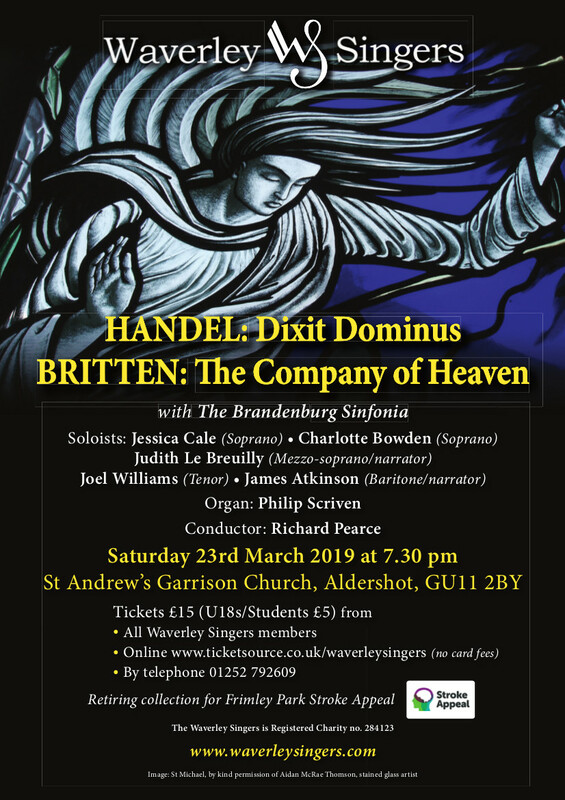 We pair it with a fascinating work by Benjamin Britten A Company of Heaven. Written for chorus, string orchestra, narrator and soloists, it shows of Britten's theatrical genius and innovative use of resources. There will be a retiring collection in aid of Frimley Park Charity Stroke Appeal.